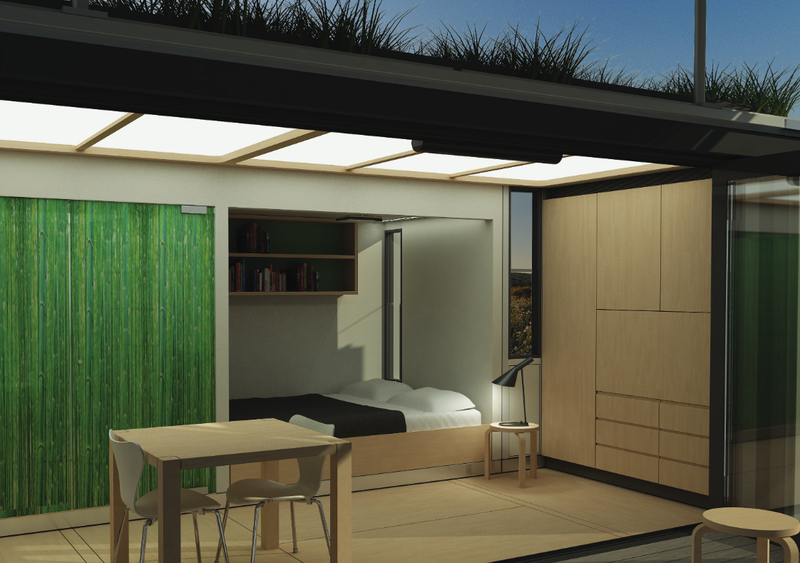 The G-Pod... imagine extending out a 20 Foot shipping container, the way most top-end RVs (recreational vehicles) do. The makers say that when fully extended it can almost triple its floor area. It can be transported all over the world and can be used as an office, pop-up venue, student accommodation, home or vacations retreat. Because of its modular structure, more components can be added if necessary. 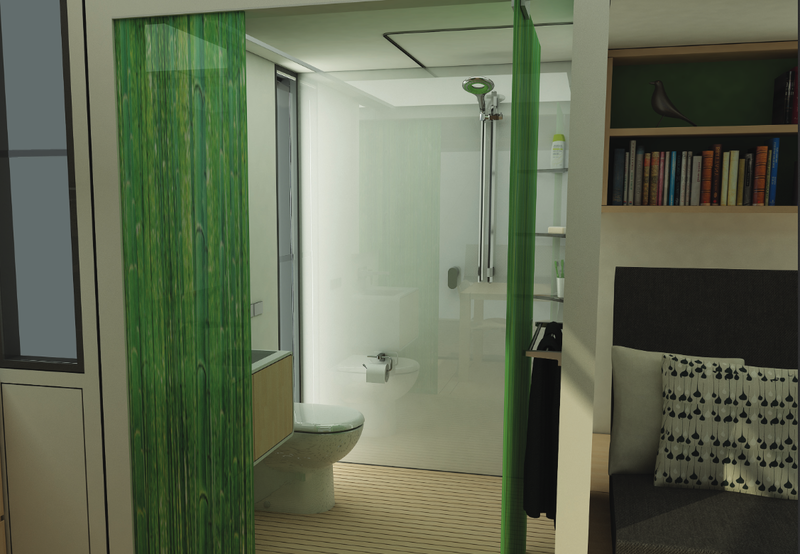 The standard structure is a 20 foot container 1 Bed 1 WC Shower room and kitchen / lounge with foldable windows leading to the deck. Or the 40 foot container that has 1 double room and a room for 2 single beds. 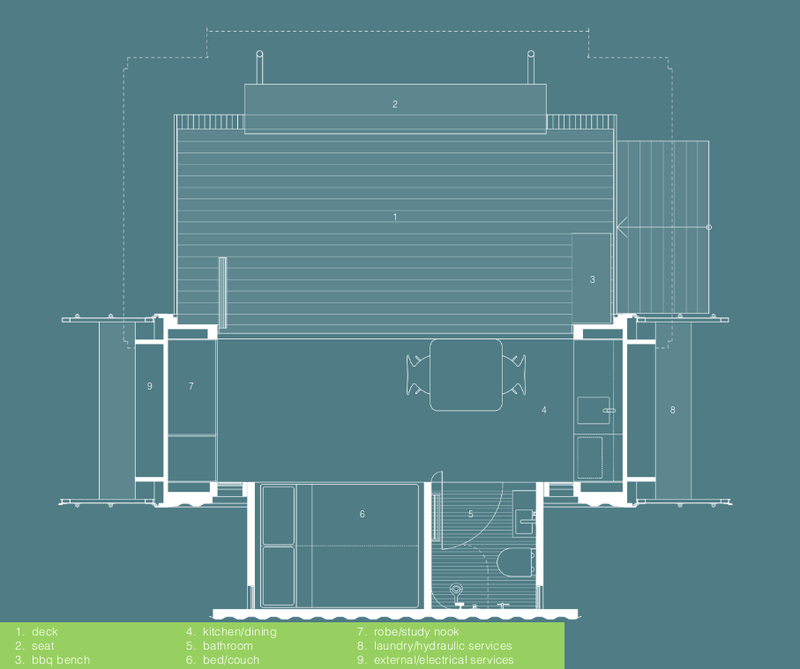 They offer a number of variations on the floor plans to suit your needs. 1 Bed - 20 foot Long Container. 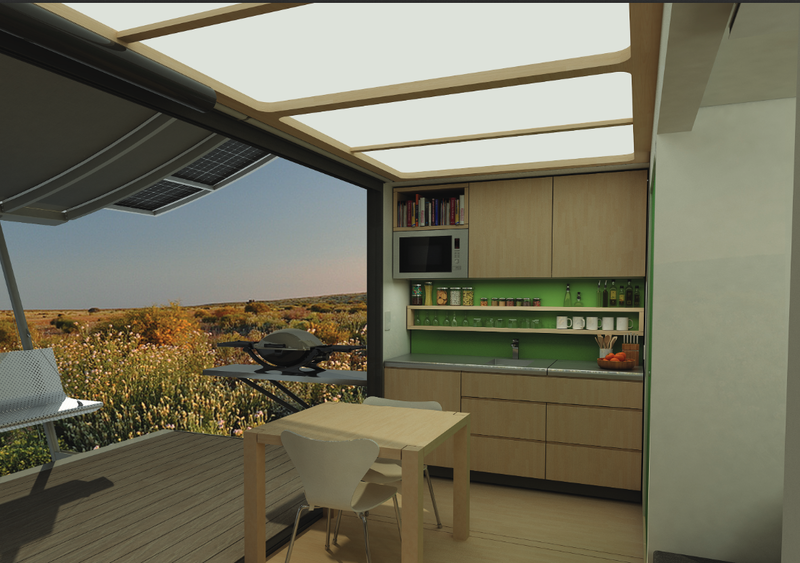 It can be used off grid as it comes with solar panels, water storage and capacity to grow vegetables on the roof. 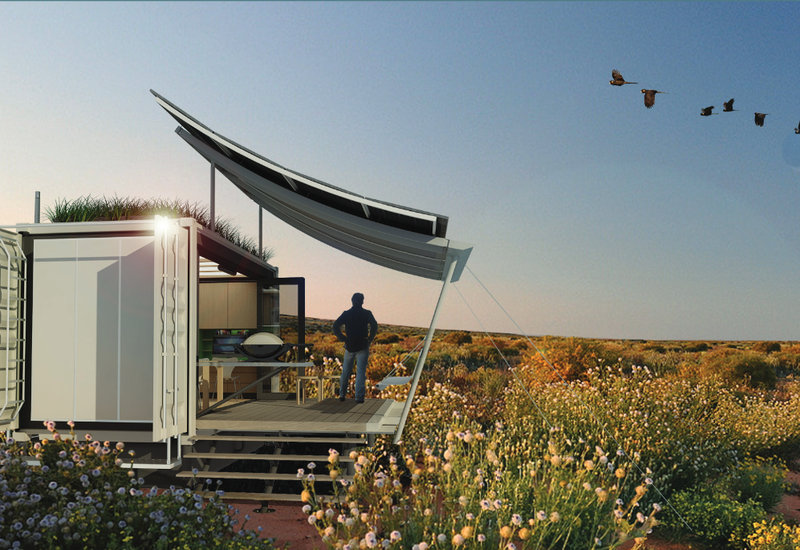 G-Pod, is a collaboration between Australian Architect, Dan Sparks and Hong Kong based Bridgewater Group. 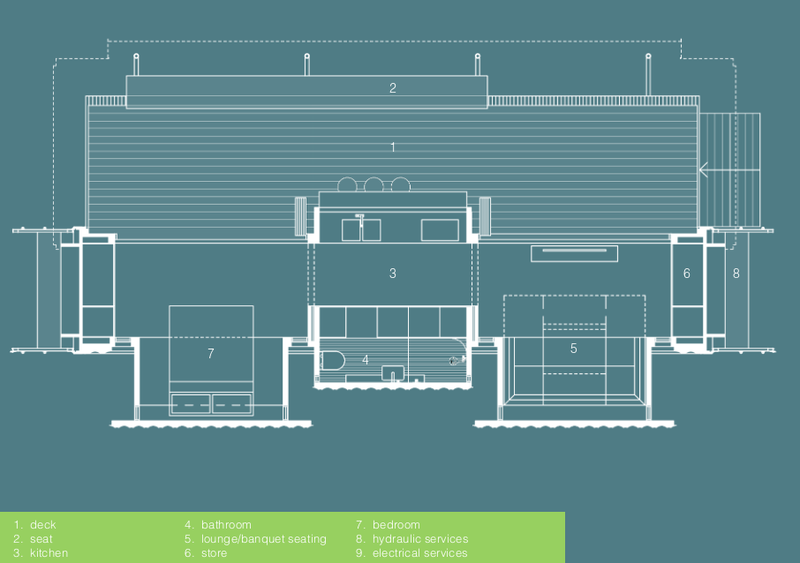 2 Bed - 40 foot Long Container. The company provides a big number of different floorpan layouts to suit the buyer. Pop-UP Business in a box. The Makers of G-Pod say that, the container can be unpacked in 3 hours and when it is not needed anymore, it takes the same time to pack it and to move to a new location. 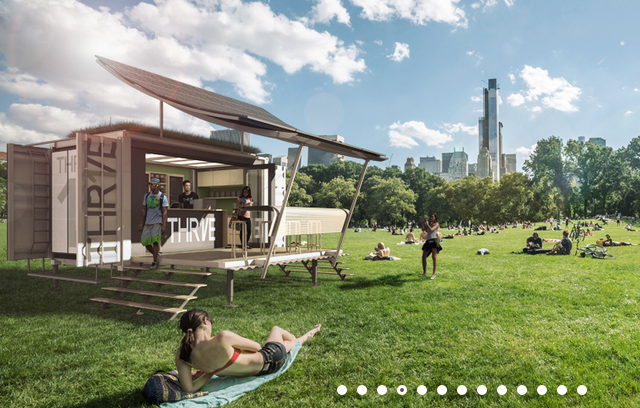 Imagine if you have a festival, a rally or a really hot season and you want to open a temporary coffee shop in the park without disturbing or affecting nature once it is removed, this would be the perfect solution.